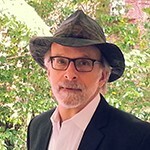 Rick Brunner was born in the mid-fifties in New Orleans, Louisana. Introduced to woodworking by his father and to art by his mother, Brunner grew to discover his own sculptural talents. His passion for creating three-dimensional objects as a boy coupled with the culturally rich influences of growing up in South Louisiana led him to pursue a career in art. After receiving his master’s degree in sculpture at the University of Notre Dame, he returned to work in Louisiana and learned the craft of furniture making as well. Brunner’s sculpture and furniture have been exhibited across the country in both regional and national level art galleries and museums for the past thirty-five years.